Get the most affordable Bitcoin colocation across the globe. Bitcoin is one of the world’s most popular cryptocurrencies, digital currencies that utilize encryption to save information related to transactions, and later verify them when mining. Mining Bitcoins is how transactions are verified, and also how participants are rewarded for their computing power and electricity. 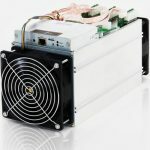 In order to make enough money on return from mining Bitcoin, you need to have loads of currency miners, typically over 100. 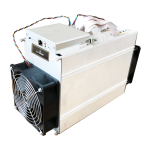 Rather than spreading them out across one’s home, or leaving them in areas where they could be stolen, it makes sense to store all of your ASIC Bitcoin miners in an area designed and actually developed just for that purpose. 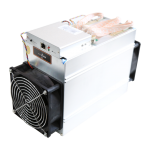 Fortunately enough for you, Bitcoin Miner Hosting Solutions is one of the best locations to host your ASIC miners at throughout the entirety of Canada. Each data center is monitored by professionals, not to mention cooled with fans and water that IT professionals use to keep their computers safe and secure. You’ll also benefit from the fact that this hosting center assigns tons of technicians to your miners to make sure that they won’t lose any integrity or get damaged in any way. Thanks to miner monitoring, Bitcoin mining colocation and hosting that this Miner Hosting also offers, you’ll also be able to maximize your hashing power, which is the central function of Bitcoin miner hosting are programmed to do. 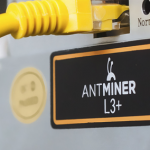 Rest assured that your hardware will be placed in Tier 3 and Tier 2 data centers – trust this BTC mining hosting establishment.